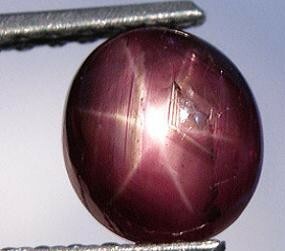 BEAUTIFUL RUBY SIX RAY STAR RUBY! 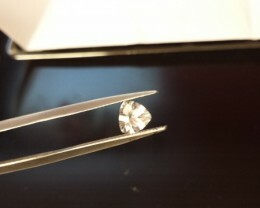 OVAL CUT, DUE TO MM SIZE OF GEM YOU MAY BE ABLE TO SET IN A ROUND CASTING ALSO DEPENDING ON CASTING OR PERSON WHO SETS THIS. 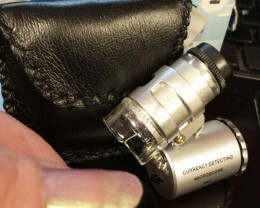 IF YOU NEED HELP WITH SETTING LET US KNOW WE HAVE A SILVER/GOLD SMITH WHO CAN SET FOR LABOR FEE. THE PHOTO SHOES 6 RAY STAR, THIS IS WITH A VERY BRIGHT LIGHT DIRECTLY OVER GEM, ALL LIGHTING IS DIFFERENT SO GEM WILL APPEAR DIFFERENT 'AS WELL AS THE STAR ON THE GEM' UNDER EACH LIGHT SOURCE YOUR IN. YOU CAN OWN IT! USE BUY IT NOW!! Oval size but might work in round casting too. 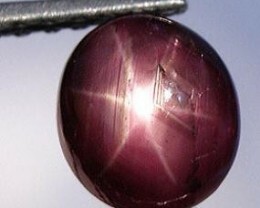 GEM IS OPAQUE DEEP BURGUNDY COLOR, VERY PRETTY COLOR, AS YOU CAN SEE FROM PHOTO WHICH IS GREATLY MAGNIFIED SOME IMPERFECTION IN GEM BUT SURFACE HAS A WONDERFUL POLISH, GEM HAS A NICE ROAMING 6 RAYS STAR, AS WITH ALL STAR RUBIES DIFFERENT LIGHT SOURCES WILL MAKE STAR SHOW MORE OR LESS. BUT THIS IS A LARGE SIZE GEM! 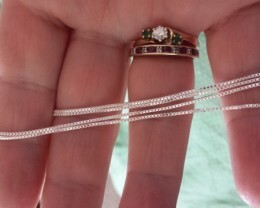 AND THE SIZE ALLOWS YOU TO USE A OVAL OR ROUND CASTING DEPENDING UPON THE CASTING OR PERSON SETTING THE GEM. IF YOU NEED HELP LET US KNOW. USA: ALL PARCELS ARE SHIPPED WITH DELIVERY CONFIRMATION WE ADIVSE INSURANCE, IF YOUR PURCHASE IS OVER 100.00 INSURANCE IS REQUIRED. SHIP RATES ARE SEEN IN UPPER RIGHT HAND CORNER OF PAGE..
INTERNATIONAL: SHIPMENTS DO COST MORE PAID BY BUYER, ALL GEMS/OPALS MUST HAVE INSURANCE NO MATTER THE VALUE, IF YOU WANT TO TAKE ADVANTAGE OF OUR DISCOUNT READ BELOW. 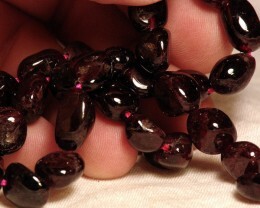 DISCOUNTS: BUY 2 OR MORE GEMS, OPALS, CASTINGS OR CABOCHONS AND SEND 1 PAYMENT FOR ALL ITEMS BOUGHT WITHIN A 7 DAY PERIOD YOU WILL PAY THE SHIP FEE & INSURNACE ON THE FIRST GEM ALONE & ALL OTHER GEMS WILL SHIP FREE OF SHIP FEES. IF YOU NEED HELP WITH CHECK OUT JUST EMAIL US. WE ARE HAPPY TO HELP. PLEASE READ ALL SELLER TERMS AND ITEM DESCRIPTION. WE TRY TO GIVE ALL INFORMATION YOU WILL NEED FOR A TRANSACTION YOU WILL BE SATISIFIED WITH. 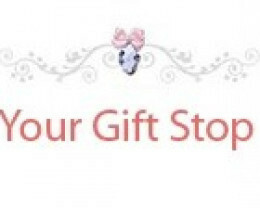 THANK YOU FOR BIDDING WITH YOURGIFTSTOP!!! 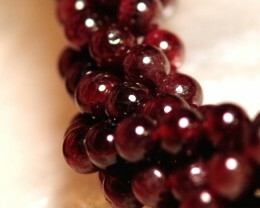 Transparent rubies are cut in step and brilliant cut. 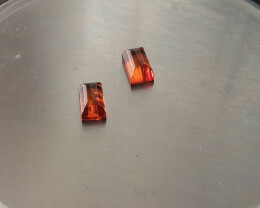 Less transparent rubies are cut en cabochon. 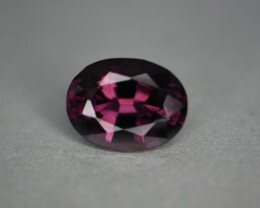 3.75 ct gem burgundy wine spinel.